Deccan Chargers went from zeroes to heroes in this year's IPL, and are now one of the favourites for the Champions League. They swaggered into the inaugural IPL with an array of bludgeoning batsmen, tipped by many for the title, only to flop dramatically and wind up in last spot. This year, with lesser expectations, and Gilchrist as captain, they sneaked into the semi-finals before bulldozing their way to the title. They have an incisive bowling attack led by Fidel Edwards and RP Singh, who took the most wickets in IPL 2009, with left-arm spinner Pragyan Ojha providing back-up. They need performances from their lesser-known Indian batsmen when their big three - Gilchrist, Andrew Symonds and Rohit Sharma - stumble. Much of the attention surrounding Somerset's campaign will centre on their star batsman, Marcus Trescothick. This will be his first overseas assignment since pulling out of Somerset's pre-season visit to Dubai in 2008 with a recurrence of his stress-related illness that originally occurred in 2006. Trescothick has been in sparkling form all season, and was rewarded with the Most Valuable Player award by the Professional Cricketers' Association for 2934 runs across all competitions. He is part of a redoubtable top order, which also has Justin Langer, the promising wicketkeeper-batsman Craig Kieswetter, and James Hildreth. The bowling inspires less confidence, though, with the spin department being particularly weak. Victory in the Stanford 20/20 in early 2008 has proved to be the gift that keeps on giving for T&T. Besides the million dollars they pocketed for the title, it gave them entry to the Stanford Super Series last year and now the Champions Twenty20 League. The batting is their strong suit with a mix of some of the Caribbean's most exciting youngsters - Darren Bravo, Lendl Simmons, Adrian Barath and Kieron Pollard - and the experience of Daren Ganga and Dwayne Bravo. The bowling attack looks shaky though, one of the main reasons they are viewed as long shots for the title. The sheer depth of their international talent makes New South Wales one of the tournament favourites. Even without Michael Clarke, Nathan Bracken and Brad Haddin, the Blues still boast a squad featuring eight men who have played for Australia. David Warner and Phillip Hughes are a potentially explosive and unconventional opening pair, while Simon Katich gives the middle order valuable experience. An attack consisting of Brett Lee, Stuart Clark, Doug Bollinger and Nathan Hauritz is of Test quality but their challenge here is containing in foreign conditions. In any case, they are certainly one of the main teams to beat. Sussex may have been relegated to the second division for the first time but they have been the stand-out team in England's limited-overs competitions this season: storming to both the Pro40 Division One and the Twenty20 Cup titles, and finishing runners-up in the Friends Provident Trophy. 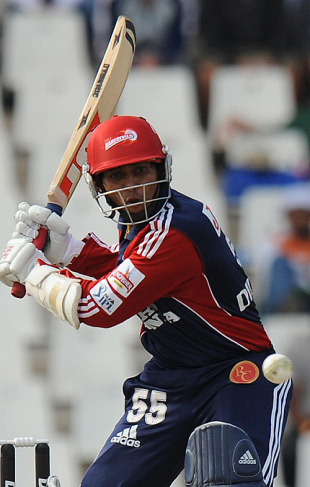 Their middle order is boosted by hard-hitting allrounders, Dwayne Smith and Luke Wright. The fast bowling is in safe hands of James Kirtley and Yasir Arafat (the only Pakistan player in the tournament), and the spin department has been bolstered by the smart swoop for Indian legspinner Piyush Chawla. Eagles have never let the lack of marquee names in their line-up stop them from succeeding, winning the Pro20 twice and making the finals this year. Morne van Wyk, who provided some rare bright sparks in a dreary Kolkata Knight Riders IPL campaign, is among their best Twenty20 batsmen. Much is also expected from the young duo of Dean Elgar and Rilee Rossouw. Like many a South African team, they are packed with fast-bowling allrounders - including Ryan McLaren, Dillon du Preez, Alan Kruger - giving them great balance. Two problems that could derail Eagles' campaign are the presence of only one frontline spinner (Thandi Tshabalala) and the lack of experience in subcontinental conditions. Royal Challengers Bangalore are another solid IPL team. Anil Kumble inspired them to the finals of this year's IPL after a dispiriting start, losing four of the first five matches to bring back memories of an abysmal campaign the previous year. The dynamic Ross Taylor will be a vital cog in a batting line-up strewn with players not renowned for their big hits - Rahul Dravid, Jacques Kallis, Virat Kohli. It will also be a big test for young opener Manish Pandey, who sparkled in his limited chances this year. Bangalore's main drawback is an attack which has struggled to contain the runs; barring Kumble, the rest of their regular bowlers leaked at least seven. Cape Cobras are seen to be the stronger of the two South African teams in the tournament, despite the loss of captain Graeme Smith. Herschelle Gibbs and JP Duminy may be their drawcards but their most important player is likely to be death-overs specialist Charl Langeveldt. He already saved Cobras twice during a stop-start Pro20 campaign; once grabbing wickets off the final two deliveries to force a tie, and in the deciding leg of the semi-finals, he gave away only three runs in the Superover. Veteran left-arm spinner Claude Henderson is another bowler to watch out for. The close-in fielding should also be a treat, with Gibbs and Duminy joined by the electric Sybrand Englebrecht. New Zealand's only representatives are widely considered to be a team with little chance to hit the US$2.5m jackpot on offer, but their string of power-hitters (Otgao made 189 or more in five of their seven Twenty20 games last season) could spring a surprise or two. How Twenty20 experts, Brendon McCullum and Dimitri Mascarenhas, fare will have a huge bearing on Otago's progress. Other batsmen likely to make an impact are Aaron Redmond (who though uninspiring at the Test level, has proved competent in Twenty20s, topping the run charts in the domestic tournament) and 20-year-old Hamish Rutherford (who bludgeoned a 38-ball 87 against Wellington). The bowling looks a bit thin, despite the presence of a rejuvenated Ian Butler and the crafty Nathan McCullum. If any other team had lost the services players of the calibre of AB de Villiers, Daniel Vettori and Paul Collingwood in the space of a week, it would have been a crippling blow. Delhi, however, have the luxury of calling on Glenn McGrath as back-up; this depth is one of the reasons they have the shortest odds for winning the Champions Twenty20 League. They were by far the most impressive team in the IPL group phase this year, and were only knocked out in the semi-finals by a vintage Adam Gilchrist onslaught. An electric top order and a capable bowling attack (including Dirk Nannes from group stage opponents Victoria) make them title contenders. The one question over Delhi is their middle-order: can the likes of Dinesh Karthik, Manoj Tiwary and Mithun Manhas step up if the big names at the top fail? A team that could slip under the radar, Victoria are not the Australian champions but have won the Big Bash three of the four years it has been held. They have also only ever lost three domestic Twenty20 matches. It is a remarkable record built on powerful batting from Cameron White, David Hussey and Brad Hodge, who is one of the most prolific Twenty20 batsmen in the world, even if he can't get a game for Australia. The loss of the fearsome fast man Dirk Nannes to Delhi Daredevils is a blow but there is plenty of depth in the attack, which still boasts Peter Siddle, Shane Harwood, the under-rated Clint McKay and Bryce McGain, who is surprisingly effective in Twenty20. If they can adapt to the conditions, they are a genuine chance for the title. Wayamba seem a good bet with a squad chock-a-block with players who have international experience. Their bowling line-up looks dependable, including the likes of Ajantha Mendis, Farveez Maharoof, Isuru Udana (the standout bowler in Sri Lanka's domestic Twenty20 tournament with 16 wickets at 8.12, economy 6.09) and a new-and-improved Rangana Herath. However, they are possibly in the toughest pool, grouped with Delhi and Victoria. Also, their batting seems a touch under-powered, lacking a lethal-hitter who can really turn on the fireworks. Maharoof is likely to be a key player; he can make big contributions with bat and ball, and his inside knowledge of the Delhi team (with whom he played two IPL seasons) and the Kotla pitch will prove handy.